'Pakistan may have moved back from this devilish plot in 2007, but there is no guarantee it won't be on the drawing boards again,' warns Rajeev Sharma. 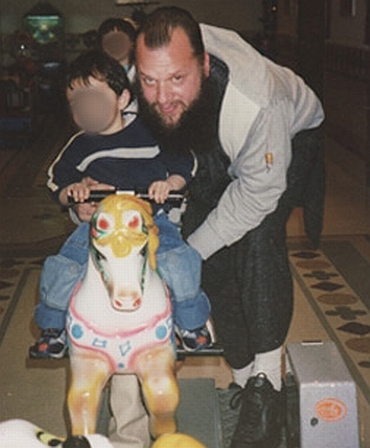 Pakistani-American terrorist David Coleman Headley's second round of testimony via video conferencing from an undisclosed destination in the United States on Tuesday, February 9, is even more damning than his deposition on Monday. His latest disclosures have the potential of putting the Pakistani military establishment in a doghouse, but it won't happen. We will take up this point a little later, but first let's have a brief run down of what more has come out of Headley's stable on Tuesday. Headley has not only given fresh names of Pakistan army and Inter Services Intelligence officers with whom he was in regular touch for planning and preparing for terrorist acts in India, but has also given details how the Indian defence establishment has been on the radar of the lethal nexus of the Pakistani State and non-State actors. Perhaps the most disturbing Pakistani terror plot that Headley has blown the lid off is that a meeting of Indian defence scientists at Mumbai's Taj Mahal hotel a year before the 26/11 attacks was to be targeted. He had even done the recce for this operation, but it could not be launched because if logistical reasons. Had this operation been launched, Pakistan would have had the opportunity of wiping out top Indian defence scientists in one stroke. It shows how nervous the Pakistani military establishment is about the impressive work done by Indian defence scientists. It also shows the perils of hosting big conferences of defence scientists and underlines the need for not having such meetings without an elaborate multi-layer security cover. After all, Pakistan may have moved back from this devilish plot in 2007, but there is no guarantee that it won't be on the drawing boards in Rawalpindi (where the Pakistan army's headquarters is based) ever again. The other information Headley gave in his testimony before the Mumbai court is that the ISI provides 'financial, military and moral support' to terror outfits the Lashkar-e-Tayiba, the Jaish-e-Mohammad and the Hizbul Mujahideen and that he was working for the Pakistan army and the ISI besides the LeT. Well, this is something that has been an open secret for years not only for India, but for the entire world. This doesn't change anything for India and only reiterates the universally acknowledged fact that the nexus between State and non State actors continues to be the template for a country like Pakistan which claims itself to be a 'victim' of terrorism. Now let's come to the point mentioned earlier that though Headley's deposition may have the potential of putting the Pakistani military establishment in a doghouse this would actually never happen. It will be business as usual as far as Pakistan's strategy of using terrorism as an instrument of its foreign policy is concerned till the US-led international community warn Pakistan of Afghanistan-type military strikes that bombed out the Taliban in the wake of the 9/11 terror attacks on the American mainland. But to think that the Americans would ever do such a thing is nothing short of day dreaming. Pakistan's cooperation is of crucial importance for the Western world as long as Afghanistan continues to simmer. The kind of morass Afghanistan has found itself in for the last four decades will continue for many more years, if not decades. Troubled Afghanistan is Pakistan's insurance policy. Pakistan knows this. That's why the Western world has come up with the concept of 'good terrorist' (one who doesn't attack the West) and 'bad terrorist' (one who attacks the West). And David Coleman Headley is a 'good terrorist'!